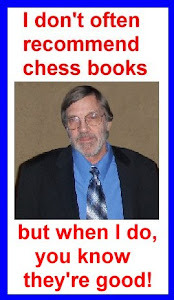 Years ago, as a young player, one of my first books was a slim volume of the same name by the British player Leonard Barden. I can well remember the joy and frustration playing over the games in that book! Some games I’d score the equivalent of Class D and in others I’d be overjoyed because I came through with flying colors and got a Class A rating. Eventually I was scoring Expert (just below master) and was really overjoyed…that is until I realized I was scoring so well because it was getting to the point I was remembering the games! 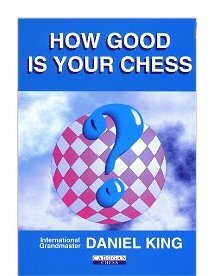 This book by King has twenty complete games where you try to guess the next move. Most of them were played in the early 1990′s. King says something with almost every move, giving advice and analysis. This is a good way to learn different openings. King does make some mistakes in analysis.